Children have a very special place at Lake House – The Club and are seen as a separate group of very valuable guests, with their own special requirements and programs. An endless choice of educational and creative activities will keep them occupied during their visit to the club, allowing their parents to spend some valuable time together. 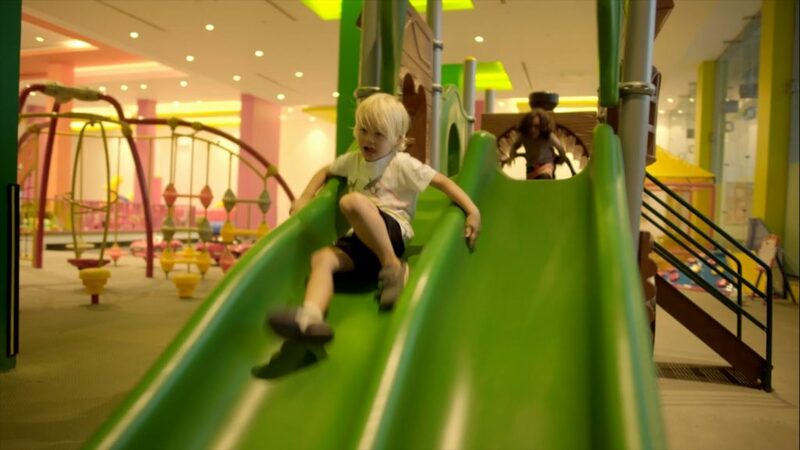 The indoor Kids’ Club is a premier indoor playground for children from 4 years old up to 14 years. Professionally trained supervisors run the various programs, guaranteeing a safe, challenging and fun environment in which kids will have the time of their lives. All children games and tools are carefully picked to guarantee highest standards of safety for the children. Nothing is more fun on a too-hot day than some water play – just ask the kids. Specially designed with the highest standards of safety and security, Aqua Valley Water Park offers a playground for fun and loads of entertainment for both children and adults. Kids must be at least 6 years to use the Aqua Park Slides. Water depth in the pool is 80cm. Guests or Kids with any medical, health, or self-imposed restrictions should not use the Aqua Park. Please follow all lifeguards instructions at all times. Please ride in a seated position facing the center with arms crossed. One rider at a time. Wait until the landing area is clear before entering the slide. Do not attempt to stop on the slide and leave the plunge area immediately. Appropriate hygienic swimwear is required when using the Aqua Park. Management reserves the right to determine whether or not swimwear is appropriate. Swimwear is available at our retail shop located at Body Temple building. Floor might be slippery when wet. Regular diapers are not permitted in any pool, only Swim diapers are allowed. Wearing sunglasses, prescription lenses, necklaces, watches or chains are not allowed when using the Aqua Park. No floating devices or toys, except water wings are allowed in the pool. Smoking is not allowed in or around the pool. No food or beverages are allowed from outside Lake House – The Club. Management will not be held responsible for any loss or damage of valuables or personal belonging. No running, diving or unruly behavior is allowed in the Aqua Park. For hygiene and health, please shower before using the Aqua Park. Baby sitters are not allowed to use the pool. No bicycles, motors or wheel boards are allowed. Pets are not allowed to enter Lake House – The Club. Aqua Park opening hours are from 10:00am till Sunset. Aqua Park break time is from 1:00pm till 2:00pm for cleaning and safety inspection. Lockers are provided for day use. Locker keys & locks are available at the reception desk of the Aqua Park. Using the Lockers is at your own responsibility.